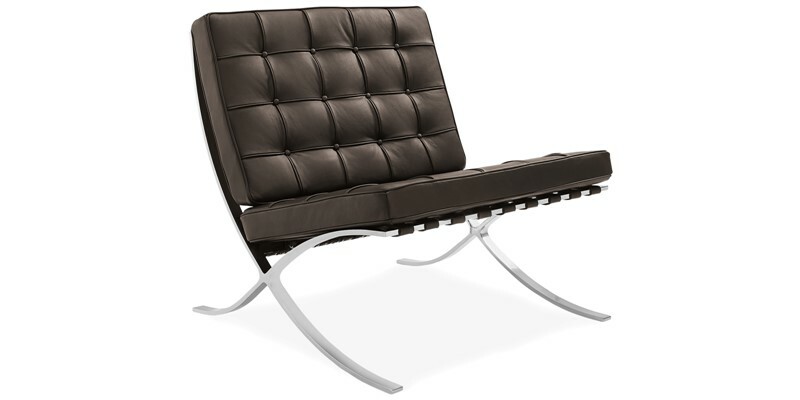 Ludwig Mies Van der Rohe Barcelona chair and ottoman, designed exclusively for The German Pavilion, was that country’s entry for the International Expo in Barcelona in 1929. It was designed in case the Spanish monarchs wished to sit during their tour of the Expo – apparently they didn’t! 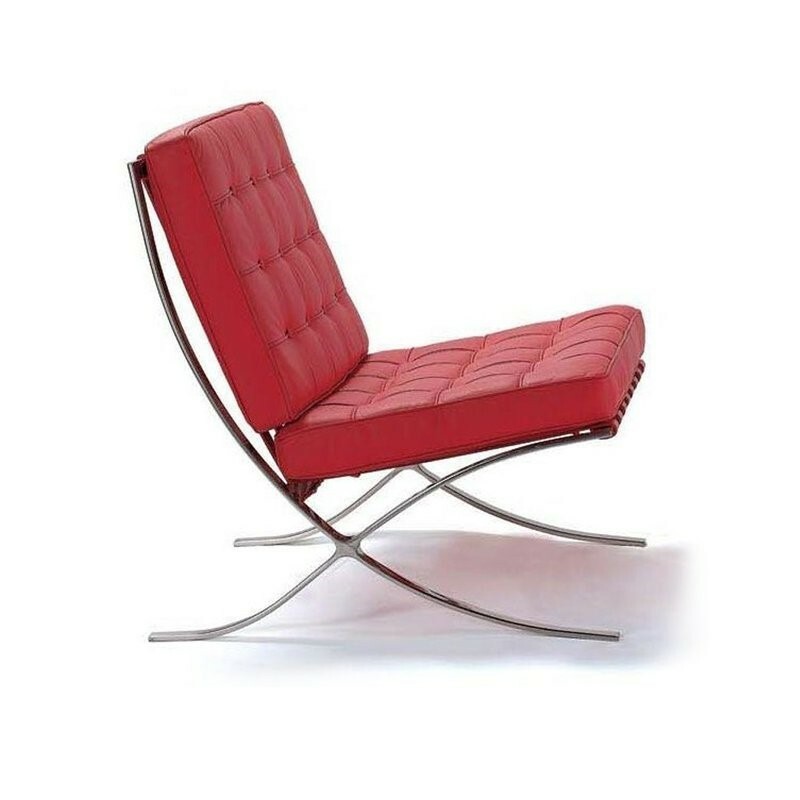 This iconic contemporary chair design resulted from the collaboration between the famous Bauhaus architect Ludwig Mies van der Rohe and the architect and designer Lilly Reich. 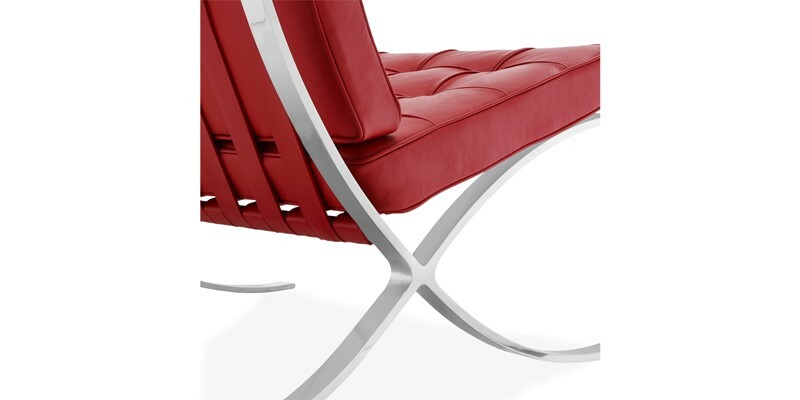 An icon of modernism, the design of the Barcelona chair was inspired by the folding chairs of ancient times. 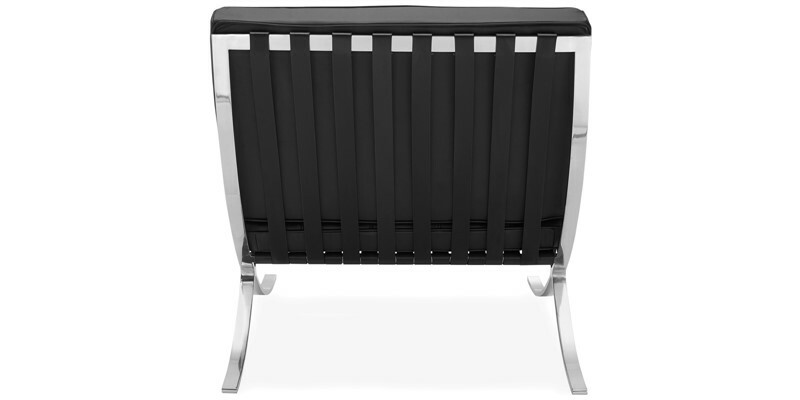 It is often referred to as the Pavilion Chair because it was entered in the German Pavilion at the 1929 International Exposition. Sit like a Royal, these chairs became thrones when the Spanish Royals visited the Pavilion and sat in them for a time, however they were the only chairs in the whole building. Lovely chair. Very stylish and comfortable. Not happy as courier did not deliver on time. 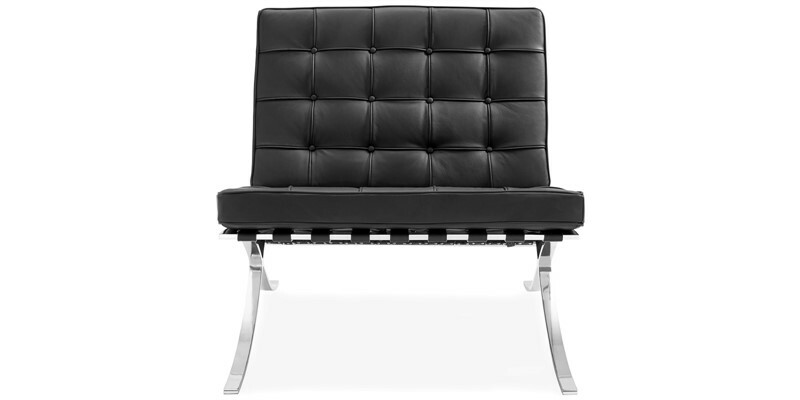 I purchased a black Barcelona Chair as part of my wife’s 40th birthday. 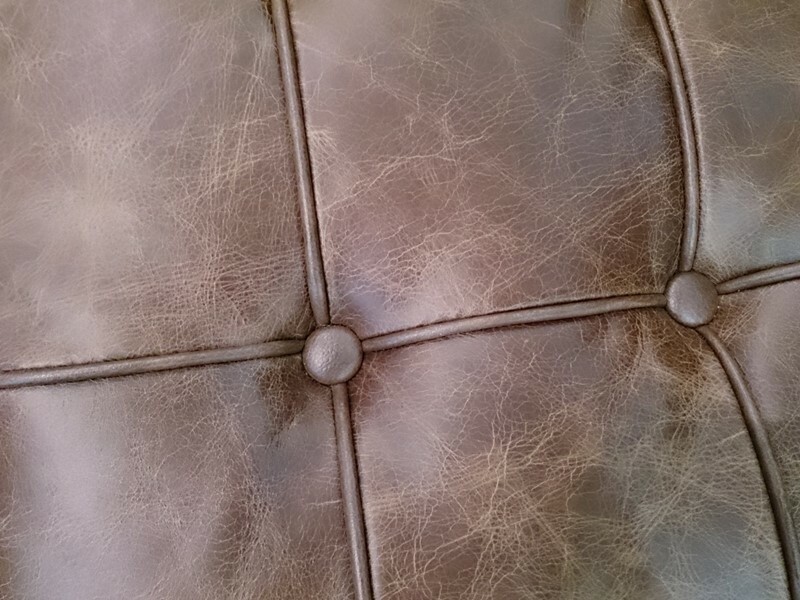 All I can say is WOW- the quality of the leather and the build quality of the chair is exceptional. 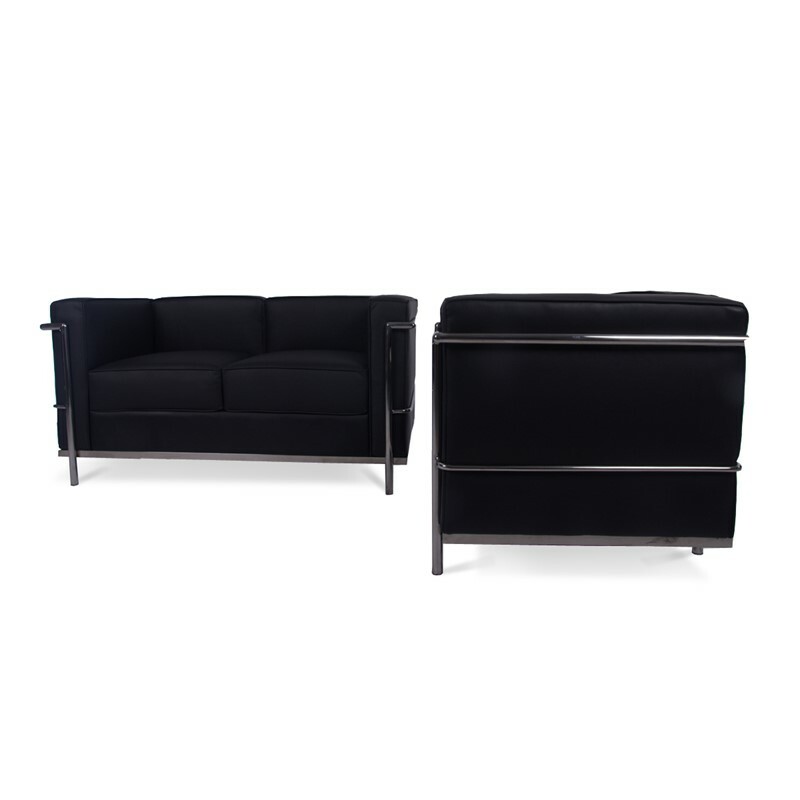 An awesome item of furniture from an awesome company, just about to place an order for the matching ottoman stool and will only be ordering luxury furniture from this company — 5 star A+++ rating, cannot recommend enough. Thank you modern comfy. 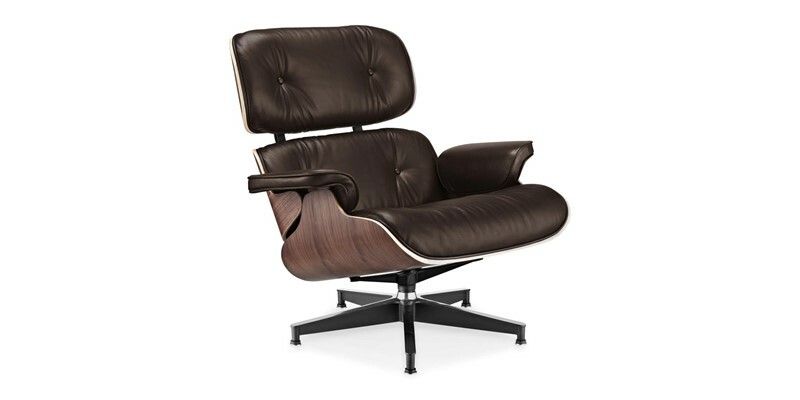 Last Monday I purchased eames lounge chair with EA104 lobby chair from modandcomfy after reading various reviews on the company website, I decided to chance it and I am really glad that I did. Both are extreamly true to the original. I put them together easily and both look great. I am really impressed with them. Will buy again. 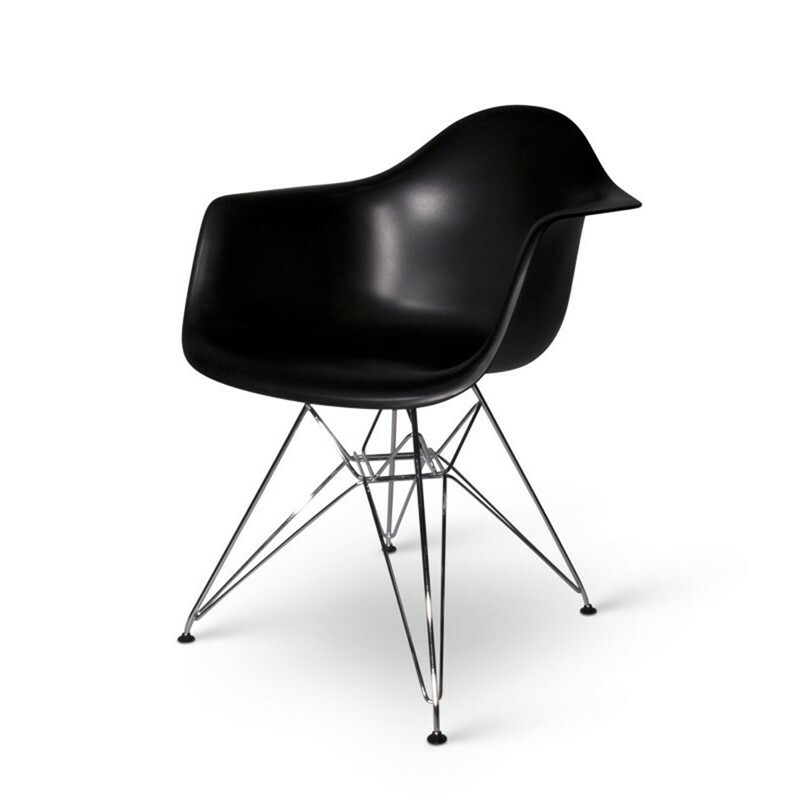 Ordered 3 Eames style office chairs for our small office near london. Chair are well built and of geat quality. Customer service from Chris was brilliant. Quickly and efficiently we received chair in just 2 days of order. 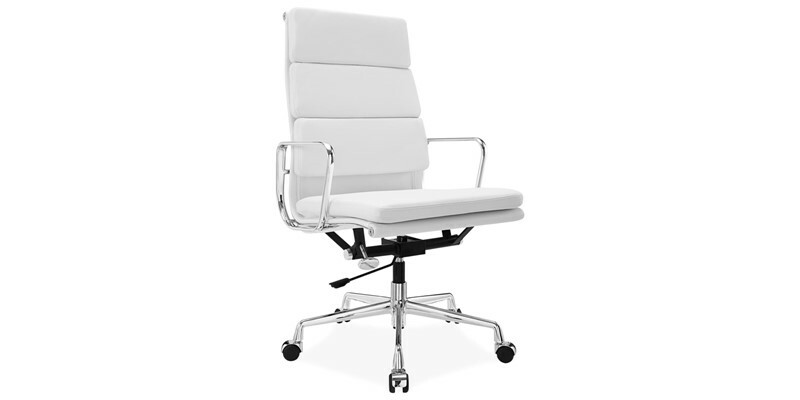 Modern and Comfy have a wide range of office chair products. I am so pleased with my eames low back ribbed chair that I have had for nearly three months now. I get lots of comments on this quality and durable product it compliments my home. The staff are friendly, knowledgeable and highly skilled. I highly recommend them. 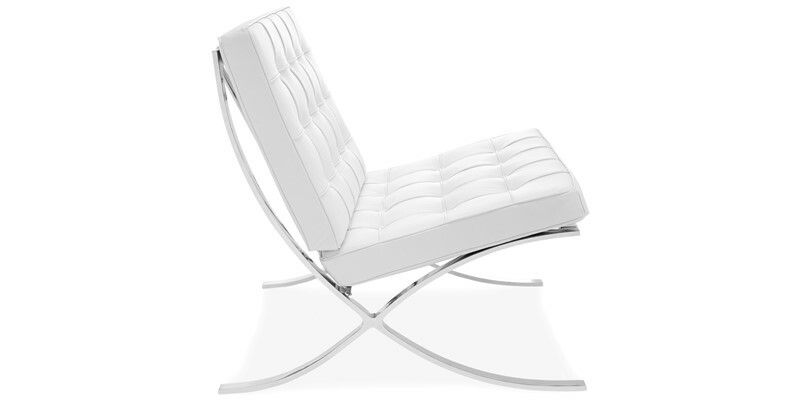 Chair is an excellent copy of a design classic. Looks great, seat wider than most so roomy and comfortable, also slightly higher. 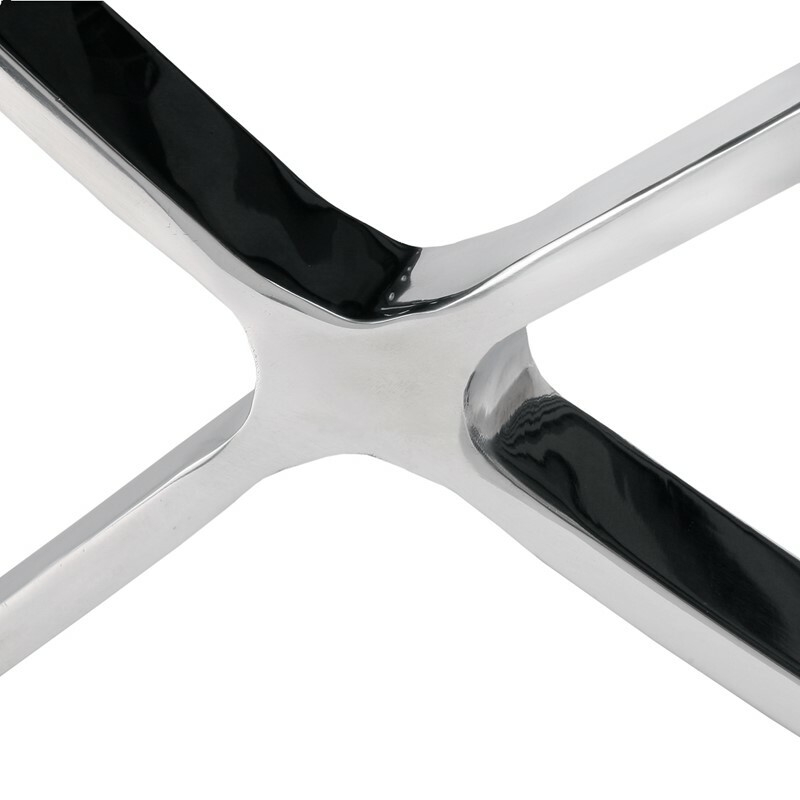 Just a friction fit together but importantly it’s all metal so very sturdy, many office style chairs have moulded plastic bases that sink and split, not this one, also fixed height so no gas lift to fail. Bargain price so great value for money. Thinking about 4 more as dining chairs, its that good! What a lovely chair! Easy to assemble (it took a couple of minutes even though there were no assembly instructions (but the box had suffered in the post so perhaps they’d fallen out). Very comfortable. Spent months trying to find an Eames replica office chair but came across some real horror stories that stopped me from actually ordering. Found plenty of sites not to trust, but none I could. Then I found mod and comfy. Given the nightmares that buying from other sellers involves, They are a rare find – honest and efficient. Recommended without hesitation. The chair is exactly as described. It arrived in just a few days, when others were quoting weeks or months. Packaging was strong and safe. 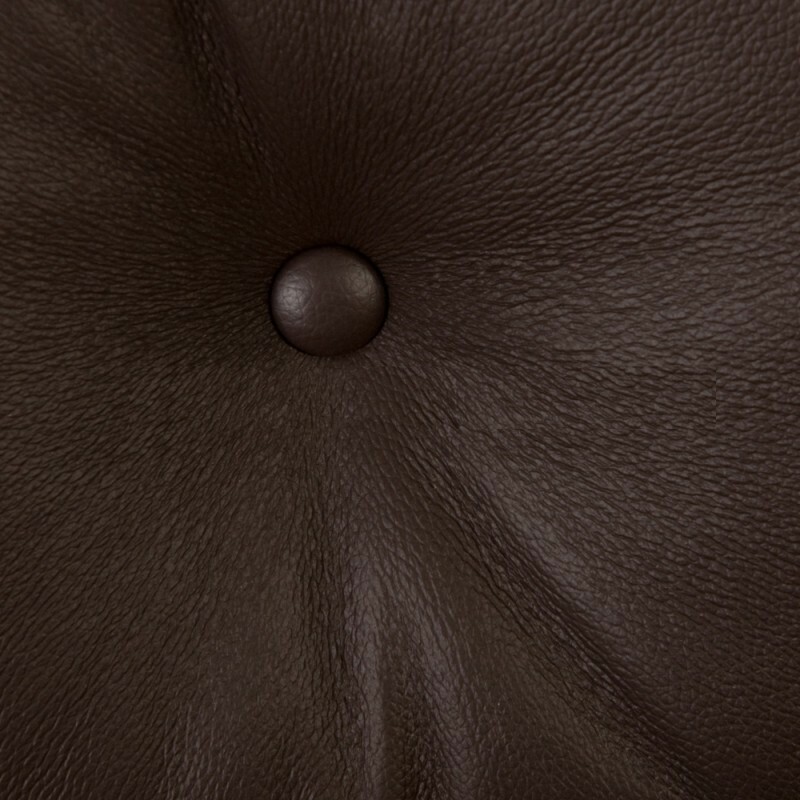 Unlike some of the competing barcelona chairs this one really is upholstered in top quality leather. it looks amazing in my living room, just like the £4000 original chair. 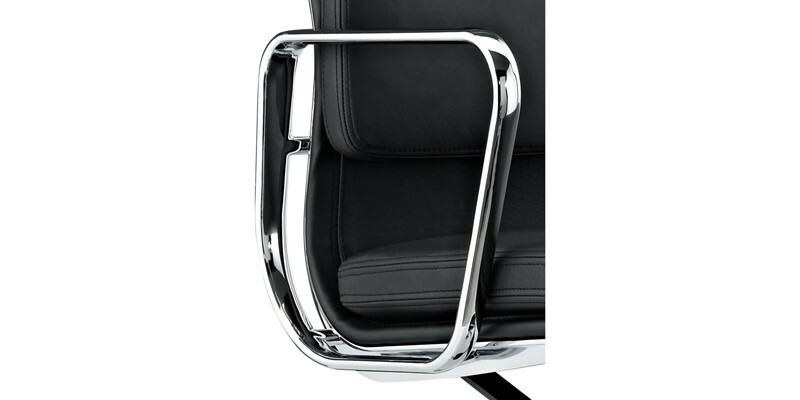 I bought high back office chair in black italian leather and it was the perfect choice. 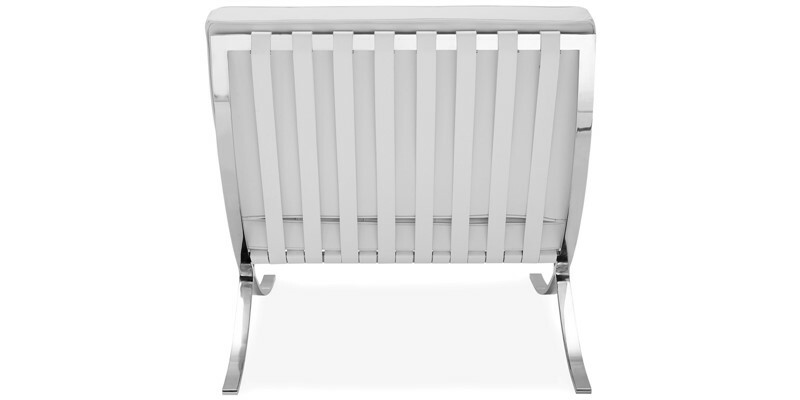 It’s a beautiful piece of furniture, very close to the original design and the quality is superb. Looks very imposing artichoke lamp and the quality is quite acceptable for the price. Only downside is it is a bit tricky to install. Electric installation manual was missing had to hire professional electrician to install in my lounge. All in all though, I would recommend this product. Very comfortable cushions. Chrome fame is solid and shiny. A+ service. Really a pleasure to buy with – no hassle and everything went clock work! I am absolutely delighted with my purchase. 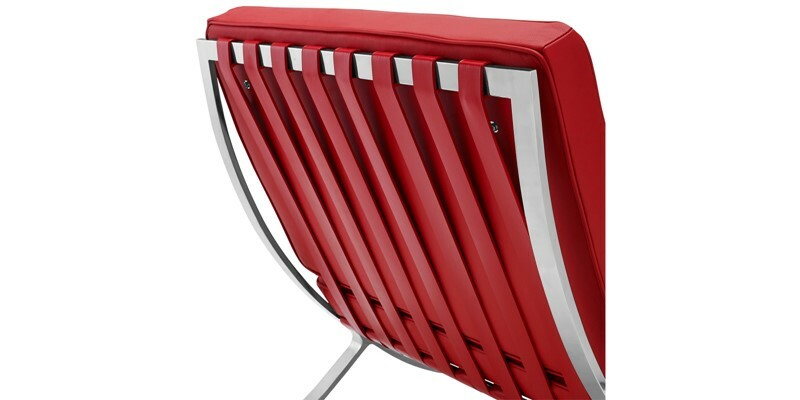 chair is a beautiful piece if furniture of excellent quality. 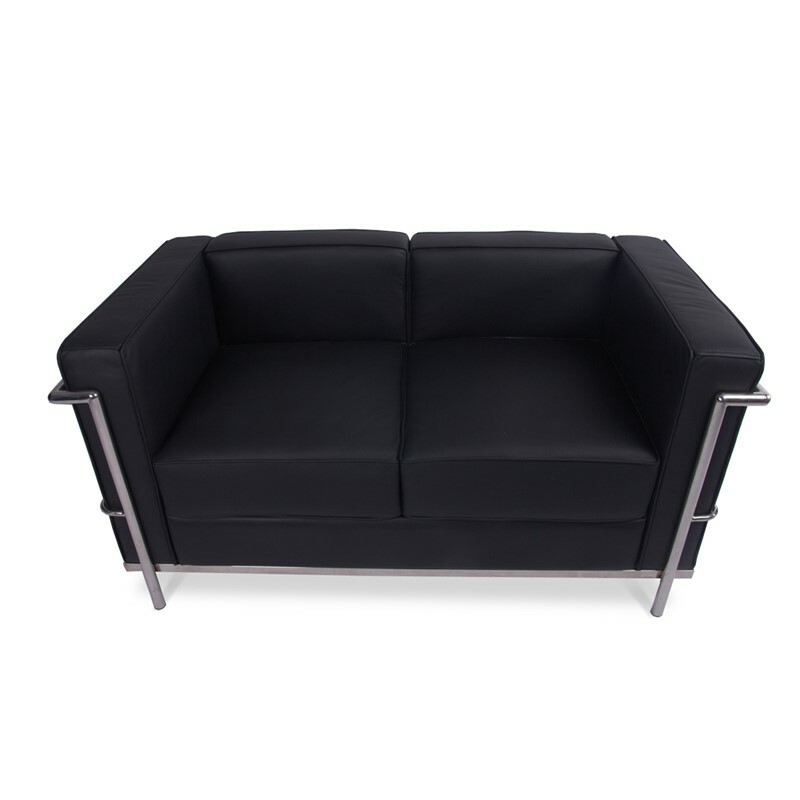 … Thank you mod comfy Furniture I am very impressed with your service. will surely reocmmend fo friends. excellent quality and customer services. There was a small issue with one of the white cushion but peter resolved it very quickly and sent replacement in just 3 days. 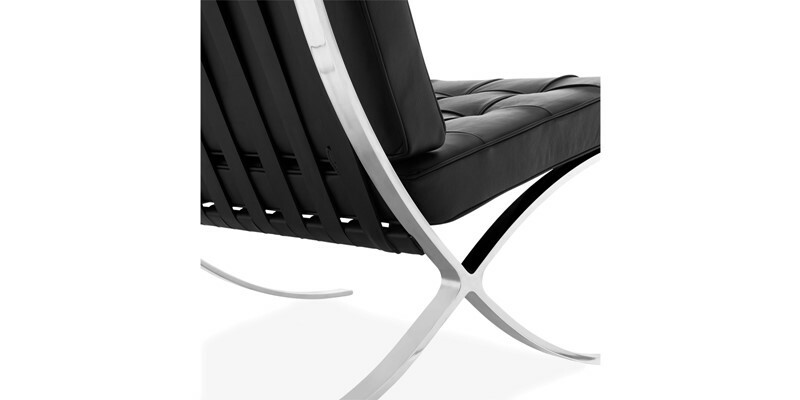 My parents had the original barcleona chair many years ago so I know what it looks like. This is a great replica especially at this price. I bought this based on another reviewer’s comment. Only downside is it was not delivered on previously agreed date but delay was due to third party courier not mod comfy. 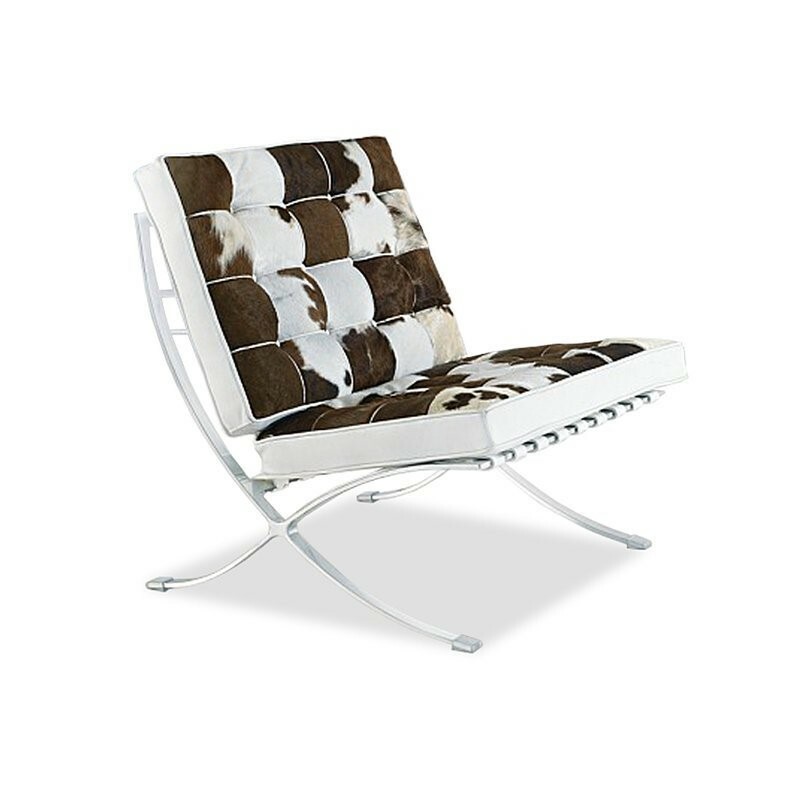 Extremely pleased with barcleona chair purchased. Communication was first class from them and informed of order progress every step of the way. 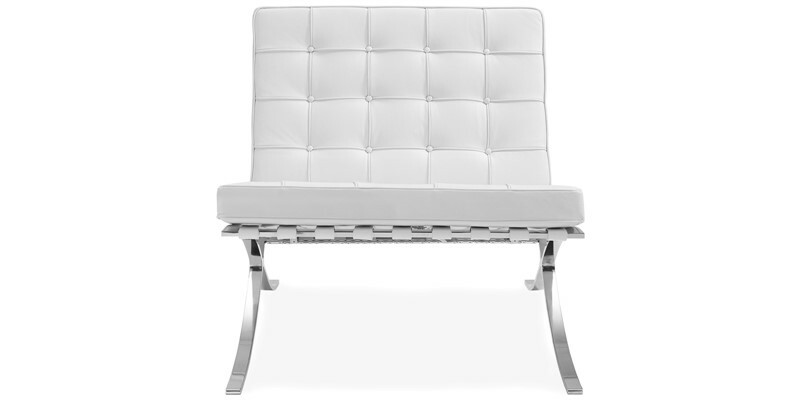 I purchased two high quality of Barcelona Chair replica from them and this purchase was far beyond Excellent! I am definitely not an expert on mid-century furniture replicas and pricing, but the prices didn’t seem bad at all. It was affordable and all excellent quality. Could not ask more better quality than this. Two soft leather cushions on lovely mirror like shiny chrome frame. Beautiful chair. 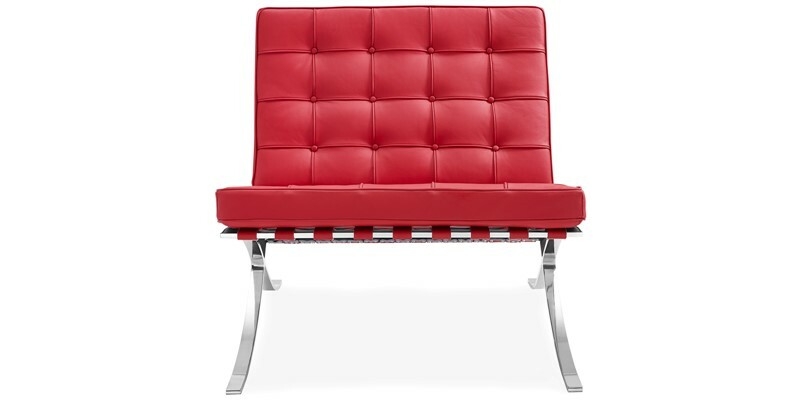 I bought a ludwig mies ven der rohe barcelona pavilion chair love with 8 Eames office low back ribbed chairs from this company last year as part of an office refurbishment. Both items look true to the originals, are well made, and the leather, which is often where reproduction furniture fails to live up to the originals, is very soft and smells like leather (ie it doesn’t have that chemical smell which generally signifies low quality leather). The price was very competitive and delivery was efficient. I will be using this supplier again and would recommend them to anyone. great christmas present for my wife. she is very happy. The leather brown color scheme looks very good and complemets our portico which has an off white color scheme.It is very easy to clean also..The cushions are entirely hand stitched. The Chairs arrived today in good condition(in Germany)… these are wonderful items and in high processing and high leather quality; the shipping time was very short. They have done a great job and answer all my questions promptly and very fast. We can recommended mod and comfy especially. Thanks a lot and till the next transaction. The quality of this product is outstanding. 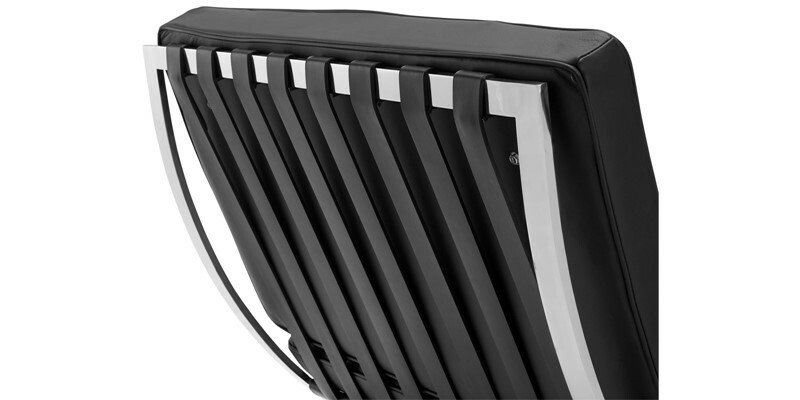 The seller provided a first class service the product was dispatched in one day. it was carefully packaged and wrapped to ensure it arrive in perfect condition. 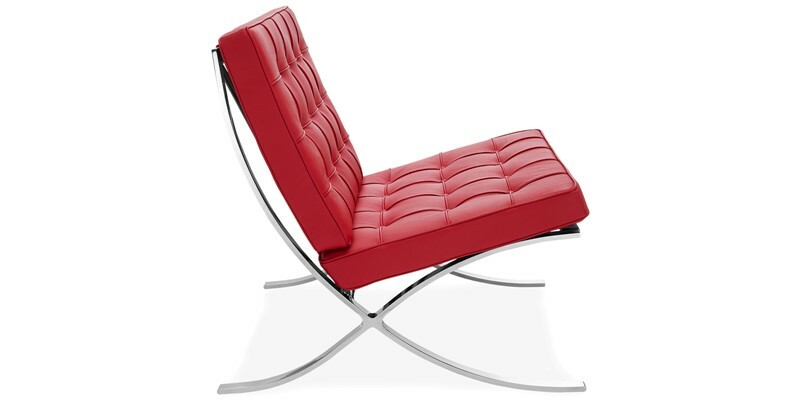 I was delighted with all aspects of the purchase and recommend modern comfy and barcelona chair. i live in uk and received my barcelona chair in just 3 days after order. No doubt its the result of great craftsmanship. I attach the seat and backrest cushions with frame in no time and it’s fully assembled. very comfy, however not very soft as the original I sat in 2 years before. 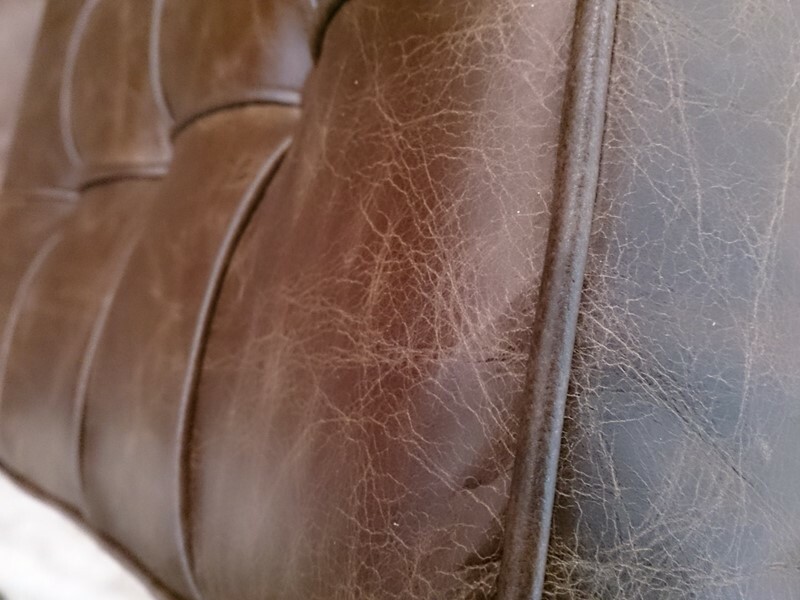 It might be due to leather cushions are new and will take time to get softer. leahther straps on cushions are in same color but seems like different type of leather than cushions. Price is very reasonable and fair for such great quality. overall very happy.